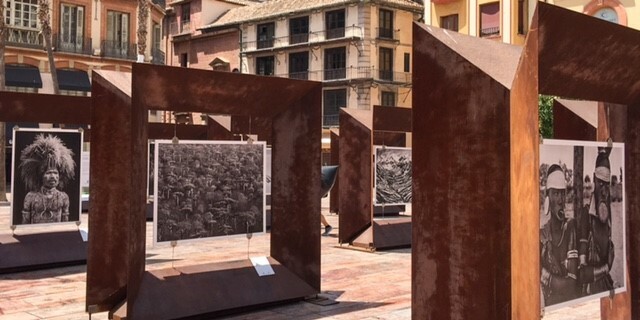 This week there’s some striking art in the street – some of the stunning artworks by Brazilian photographer Sebastião Salgado – on display in the Plaza de la Constitución in Málaga. The open-air exhibition entitled ‘Génesis’ includes 38 works, captures from Salgado’s travels (between 2004 – 2012) to some of the most remote and isolated parts of our planet. The photographs record and celebrate the diversity of Earth – and its fragility. Salgado was inspired to make this series following his return to his birthplace in Brasil to find the nature he had grown up with had been destroyed. His wife Lélia Wanick is said to have replanted a woodland and slowly flora and fauna returned. Ends July 19 (next Wednesday). Don’t miss it!